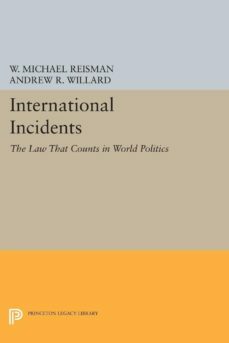 What law "counts" in international politics? Does any? How are effective international norms established? This provocative book introduces a new way of looking at these questions. It shows that many international standards of acceptable conduct derive far less from adjudications, statutes, or treaties and far more from what is found to be acceptable in the conflicts that we today call international incidents. The contributors demonstrate how law that counts has been developed, modified, and terminated in a variety of dramatic international incidents: the Cosmos 954 satellite accident, the downing of Korean Air Lines Flight 007, the Harrods bombing, the Argentine invasion of the Falklands/Las Malvinas, the incursions of foreign submarines into Swedish waters, the Soviet gas pipeline problem, the situation in Lebanon, and the Gulf of Sidra incident. This volume is a first, experimental effort at establishing a format for a new and more relevant kind of international political and legal analysis.Originally published in 1988.The Princeton Legacy Library uses the latest print-on-demand technology to again make available previously out-of-print books from the distinguished backlist of Princeton University Press. These paperback editions preserve the original texts of these important books while presenting them in durable paperback editions. The goal of the Princeton Legacy Library is to vastly increase access to the rich scholarly heritage found in the thousands of books published by Princeton University Press since its founding in 1905.